We here in Philadelphia have been at it a while. Pope Francis was installed in March 2013. Immediately after, Philadelphia archbishop Charles Chaput said he was already writing a letter to invite the new pope to attend. Even before his election, Chaput had said the new pope would likely attend the World Meeting of Families. We here in Philadelphia have been preparing for a Pope visit for a while. And, as such, we’ve been complaining about it for a while, too. 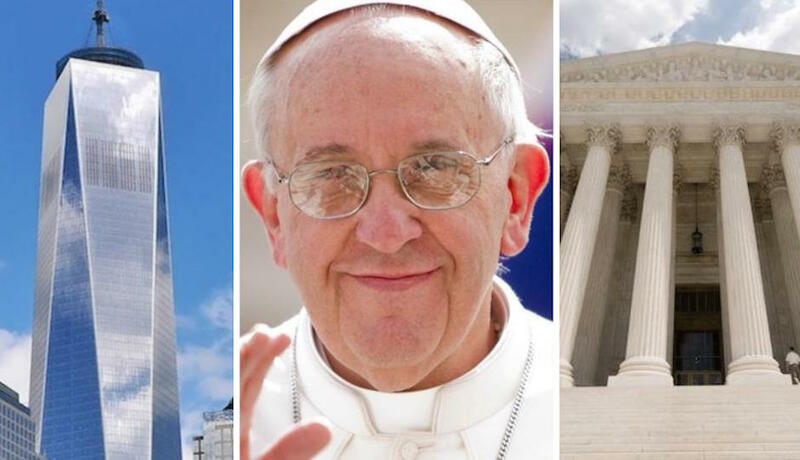 The pope will also stop in New York and Washington, D.C., for smaller events before the big parades and Mark Wahlberg-hosted festival in Philadelphia. And these two cities are just starting to learn how much Pope Francis’ visit will disrupt their daily lives. Yesterday, New York Police Commissioner Bill Bratton said the pope’s visit was “the largest security challenge the department and this city have ever faced.” Like in Philadelphia, lots of streets are being closed. And there is also an exhaustive list of prohibited items for the Pope’s visit. The Pope will be in New York from the night of the 24th to the morning of the 26th. Meanwhile, Washington, D.C. is closing a huge swath of the National Mall, the area around the White House, the Capitol and parts of Catholic University where the pope will say mass. The closures are not as extensive as the ones in Philadelphia, though they will take place entirely on weekdays. The Pope is in D.C. from September 22nd to the 24th. Since we here in Philadelphia have been mentally preparing for the pope’s visit for a while now, I’d like to give the residents of D.C. and New York a little preparation of what they’re going to experience in the lead-up. Denial: This is the stage you’re likely in right now. Is the Pope really coming? Is it really going to be that much of an inconvenience? You’re not sure what to make all of it. Anger: You might also be in this stage. You’re angry at all the road closures, the inconvenience the visit may cause and maybe even the Catholic Church’s stance on social issues like gay marriage and abortion. Bargaining: This is where a lot of people were until very recently: Maybe you can make money off the Pope’s visit! Maybe you can meet some new people in town! Acceptance: You’ll realize there is nothing to do. The pope is coming, and you just want to get it over with. You’ll note “Excitement” isn’t one of these feelings, but that’s because that permeates throughout. (Also, adding in “excitement” would have ruined the joke.) It is exciting that all of these people are coming to the city for Pope Francis, even if you hate the idea of the event, hate the Catholic Church and hate your city. It’s going to be neat! Maybe you’ll meet someone you can break some of the lesser commandments with! Maybe you’ll just have a good time! Maybe it’ll be interesting! Or, you know, maybe it’ll be a disaster. We’ll find out soon! said he was already writing a letter: http://philadelphia.cbslocal.com/2013/03/13/philadelphia-archbishop-new-pope-is-wonderful-choice/"